The EU Minor for IEM Katowice 2019 has taken another scalp. After the exit of Optic and ex-Space Soldiers, it is mousesports’ turn to bite the dust. The #4 HLTV ranked European lineup lost to Valiance in the Group A decider in straight maps (16-12 Train, 16-8 Cache). mousesports’ journey started off on the wrong foot in Poland, with Valiance handing them a shock 14-16 defeat in the Group A opener sending them straight into the elimination match. chrisJ and his men gathered themselves and then registered a strong 2-0 over Optic to knock them out and move to the Decider, which just so happened to be a rematch against Valiance. With the uncertainty factor of bo1s over, mousesports were expected to win. 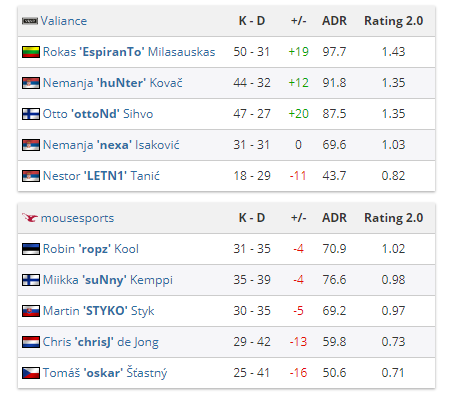 But, Valiance stormed into the lead in the Decider, winning mousesports’ pick Train 16-12, with the ex-Imperial duo of EspiranTo and ottoNd firing on all cylinders. Cache was more of a whitewash, with huNter joining the duo in terms of out-fragging the mousesports roster, which often looked clueless, running the same strategies over and over again. With this, mousesports are now condemned to watching IEM Katowice. The lineup’s exit is not undeserving, based on their performance at the Europe Minor. But, it again raises the question of the gulf in quality when comparing the Europe with other regions. Perhaps, equal slots for all regions at the Minor is a tad bit harsh to an overstacked Europe, which has provided the latest shock, with the fourth best team in the world getting eliminated in the Groups itself. The debate will gain pace once again, unfortunately, at the cost of mousesports’ shot at the IEM Katowice title. For Valiance, it is time to focus on the task ahead and actually qualifying for the Major. 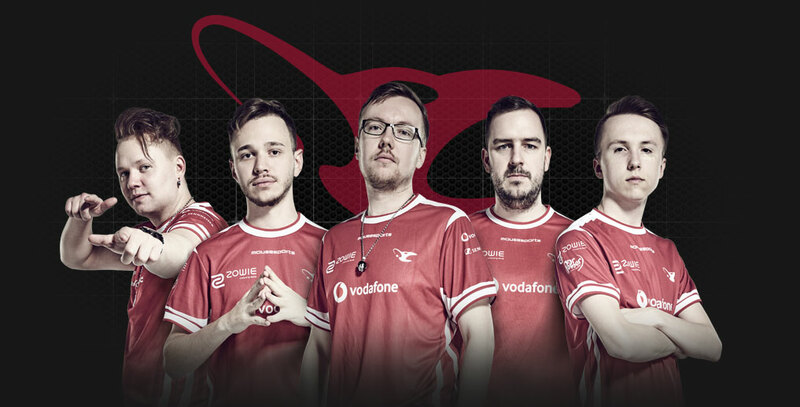 Sadly, no mousesports stickers for IEM Katowice.